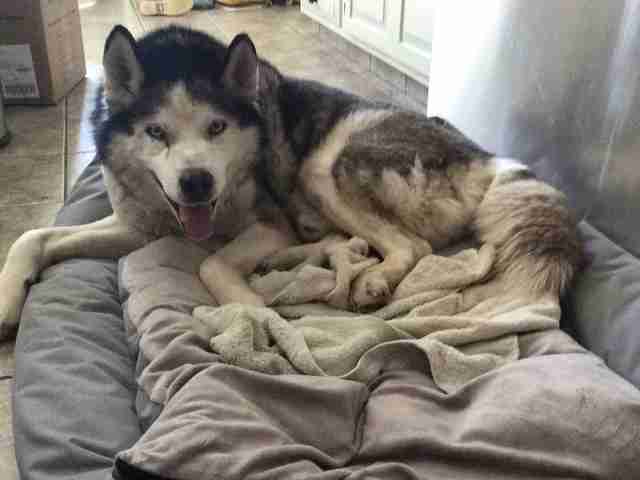 The 15-year-old husky had never been inside a house. Instead, he’d spent his entire life chained up outside of one. 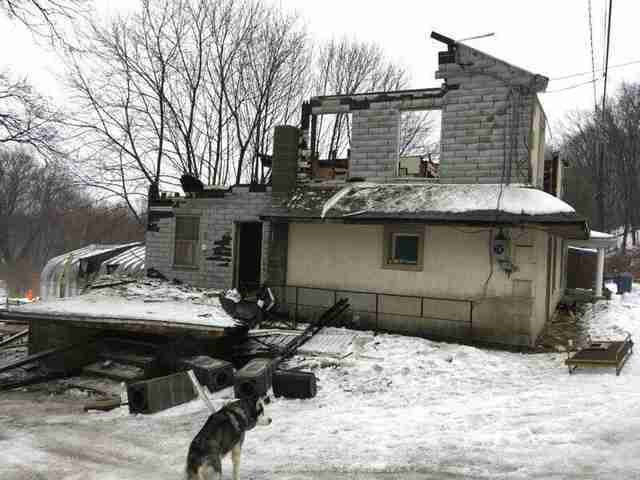 In February, emergency workers rushed to a property in New Philadelphia, Pennsylvania, after a roof collapsed on a dilapidated house on the premises. 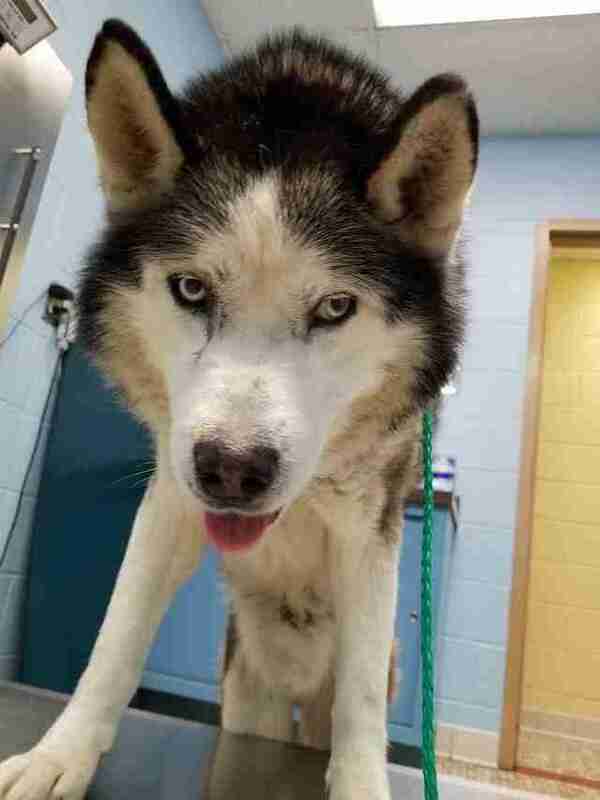 While they were there, the workers noticed an old husky tethered to a heavy chain. 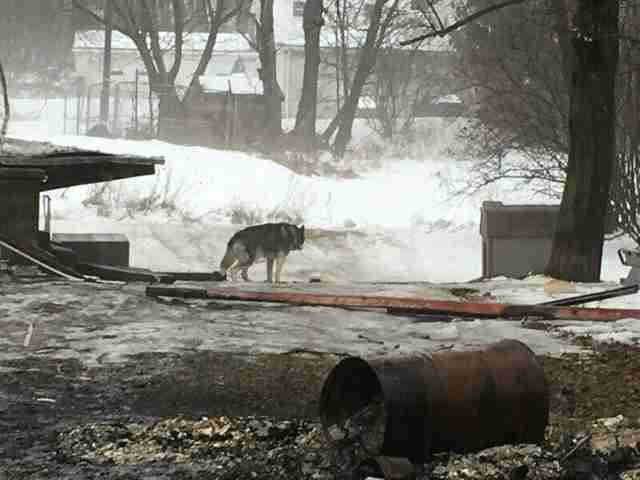 In Pennsylvania, it’s actually illegal to keep a dog chained outside for more than nine hours a day, thanks to a new animal welfare regulation called Libre’s Law, which went into effect last year. 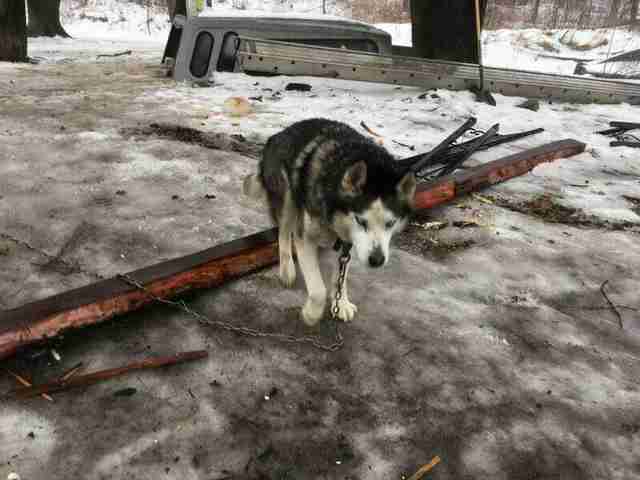 If it’s freezing outside, a dog is only allowed to be chained up for a maximum of 30 minutes. A dog also can’t be chained up in an area covered in waste. 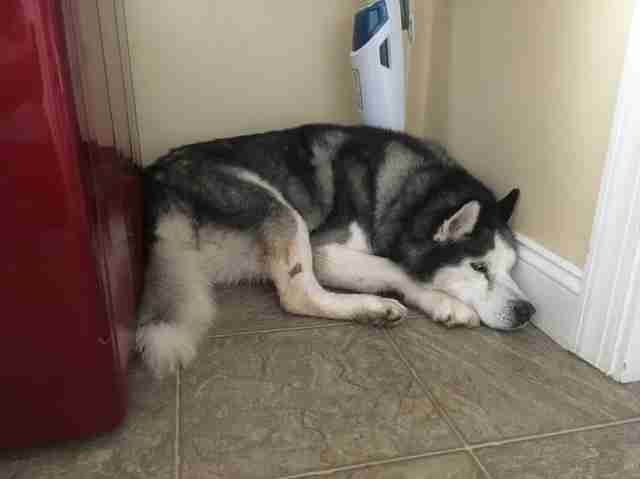 The owners of this husky were breaking all the rules. It was freezing outside, and the ground was covered in snow and the dog’s own waste. 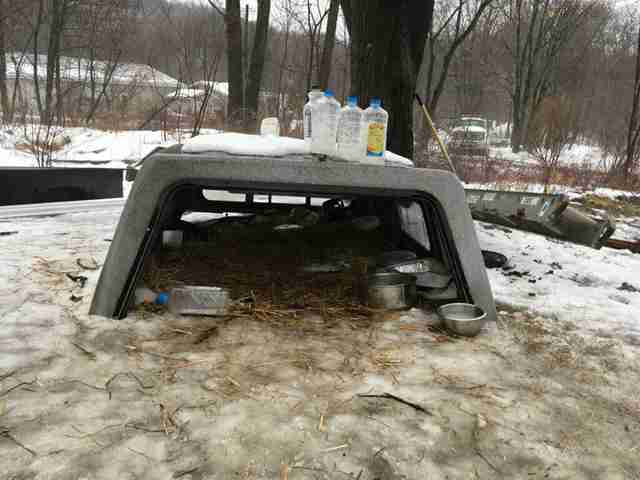 While there was a small doghouse and a car roof for the dog, he didn’t have adequate shelter from the elements. The worst part was that the dog, whose name was Cloud, was kept chained up all the time. In fact, he’d probably spent his entire life on that chain. Rescue workers from Hillside SPCA, an animal welfare organization and shelter, arrived as quickly as they could. When they explained to the owners that they were breaking the law, the owners agreed to surrender Cloud to them. 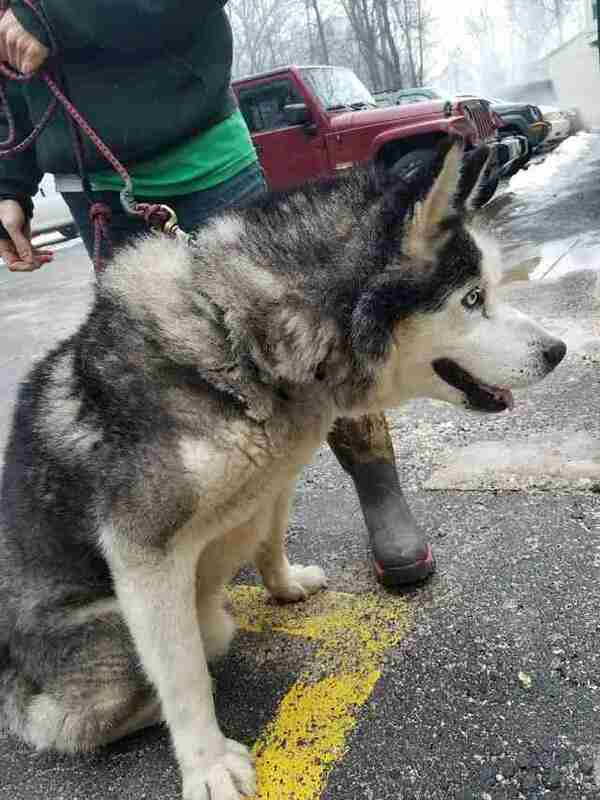 The rescue team got Cloud back to the shelter, where a vet examined him. 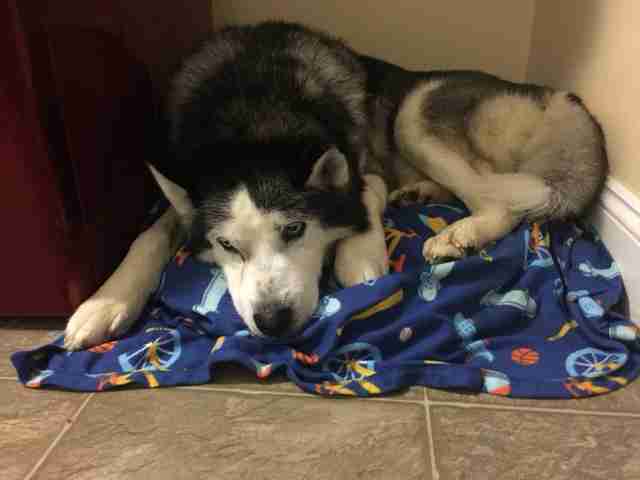 The mass on his back end turned out to be a tumor, but based on his age, the vet didn’t think it was safe to operate. They also discovered that Cloud was deaf. 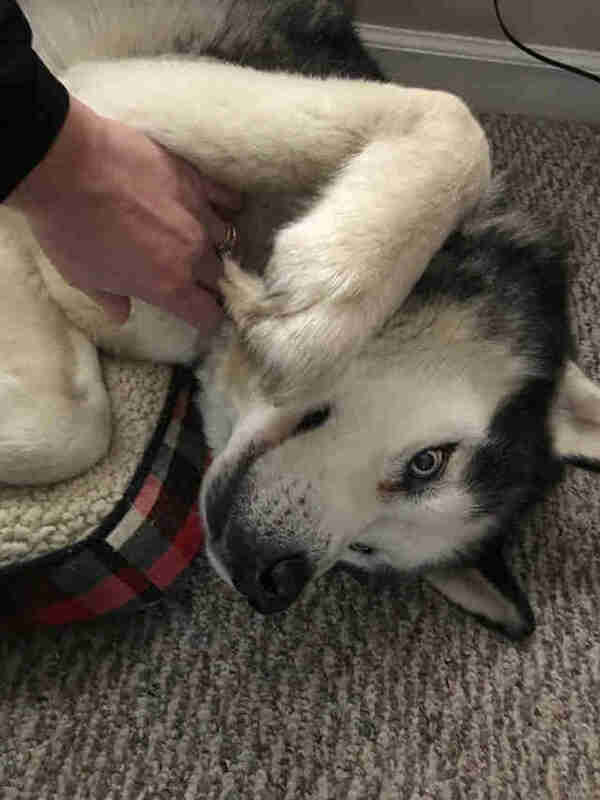 Cloud also wasn’t coping well in the shelter environment — he’d pace, collapse and fall asleep, then wake up and start pacing again. Moyer got in touch with Eleanor Garrett, co-chair of Senior Dog Haven and Hospice, to see if she could foster him. Garrett agreed to take Cloud, but bringing him into her home didn’t immediately solve anything. Cloud did everything he could to avoid contact with Garrett and her three young children. Instead of forcing Cloud to come out, Garrett left him alone for a while — and this seemed to do the trick. It still took Cloud a while to figure things out. 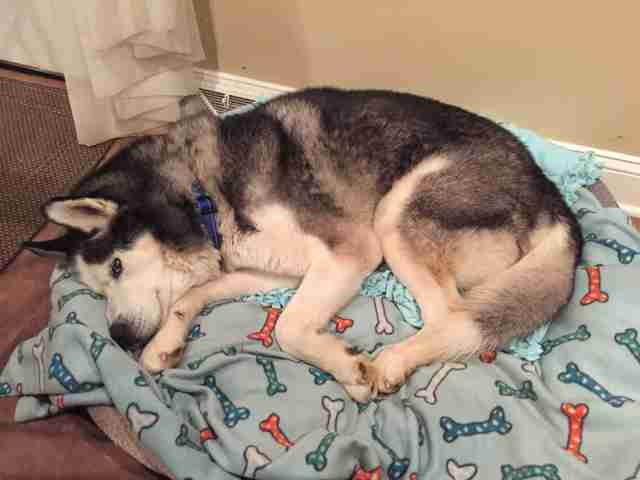 For instance, he didn’t know to come back into the house after being let outside in the fenced yard. Garrett believes her six other dogs, Izzy, Charlie, Boo, Casper, Riley and Sue, were a huge help to Cloud. 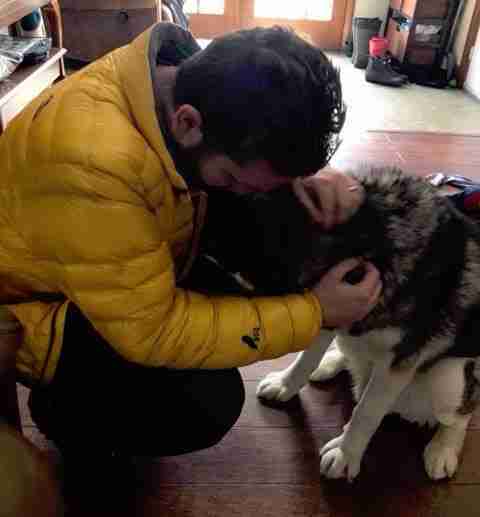 “It was almost like my dogs taught him how to be a dog and how to act,” she said. 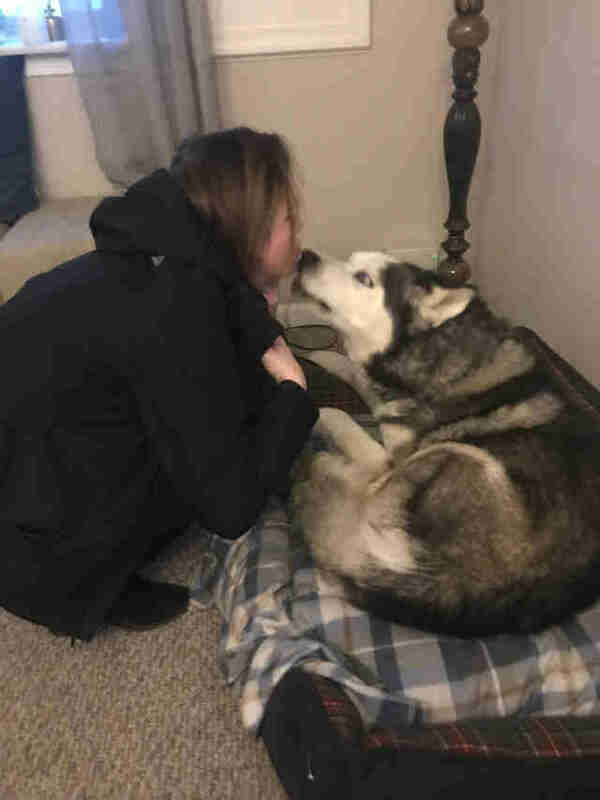 But Garrett’s home was always meant to be temporary for Cloud — and when a couple contacted Garrett about adopting Cloud, she set up a meet-and-greet. It was an instant success. “The husband leaned down to pet him, and Cloud got up and gave him a big kiss in the face, and the husband was like, ‘All right. We can do this. We’ve got to take him. We’re definitely taking him,’” Garrett said. Last week, Cloud moved into his forever home. This time, he adjusted easily, and he didn’t waste any time making himself comfortable. Cloud doesn’t just have a new home, he also has a new name — Titus — and he’s thriving with his new family. “Really for the first time, it seems like he’s enjoying life,” Garrett said. To help more rescued dogs find their forever families, you can make donations to Hillside SPCA and Senior Dog Haven and Hospice.